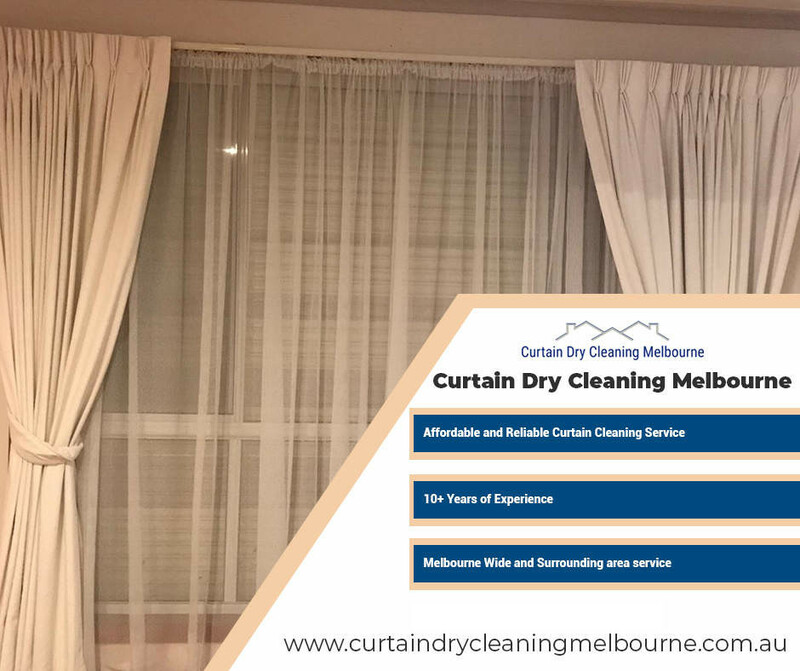 If you are looking for the best curtain cleaning Melbourne service then you should contact us today, we bring a refreshing and cleaning to curtains. We have a team of professional curtain cleaners in Melbourne with years of experience. Our quality of service and the price is unbeatable, talk to us today to get a free quote. 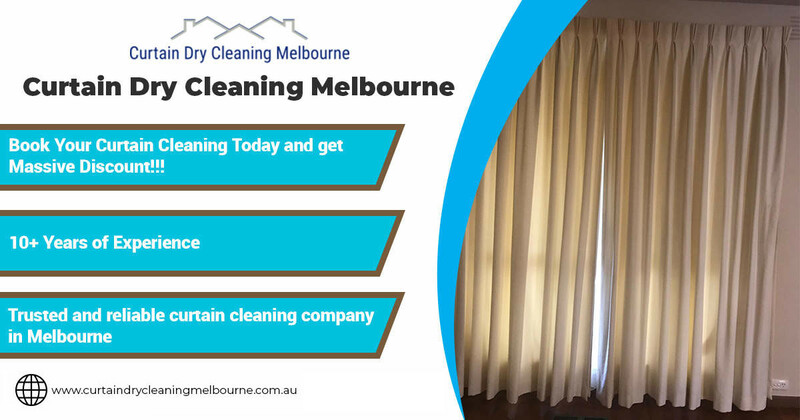 We offer excellent curtain cleaning services at budget friendly rates and that is why we are well known in and around Melbourne for our quality work. We are always committed to delivering high quality standards so that our customers are highly satisfied with the final result. Whether your curtains look dull and have lost their shine due to their dirty look, or bear tough stains, we are efficient in handling all sorts of curtain cleaning issues. We are just a call away to solve all your curtain and drape cleaning issues. We also have a dedicated curtain cleaning Mornington Peninsula team and they manage customers in south-east of Melbourne and surrounding areas. We also travel outside nearby Melbourne areas. We provide curtain cleaning Ballarat service and also curtain steam cleaning in Geelong. 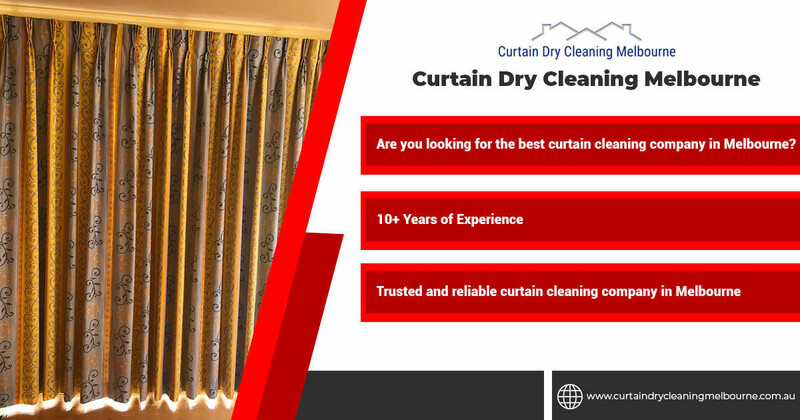 Quality curtain dry cleaning Melbourne starts here as we have 10+ years of experience in the same. Our professional team is well trained and knows how to handle different curtain fabrics and the kind of products that can be used to avoid damaging the fabric and the color. Curtains are made up of fine and delicate material and its very important to understand the nature of products that can be used for cleaning them. 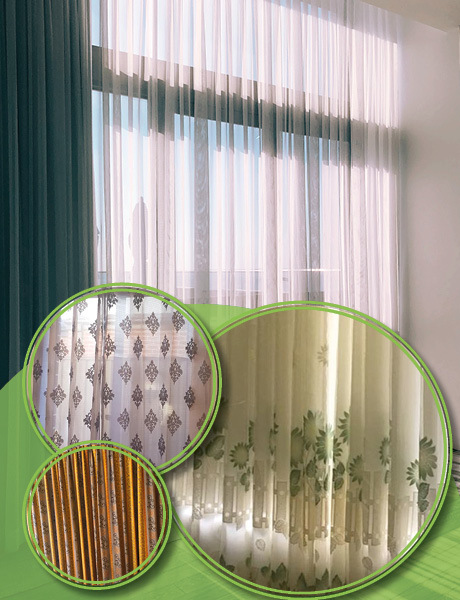 Curtains come in wide range of materials like cotton, sheer, silk, lace, velvet and polyester to name a few. They can be categorized in single lined, double lined or heavy curtains. Light cotton curtains can be treated to a delicate washing machine cycle using a delicate good quality detergent but sheer, lace and velvet curtains or heavy and double lined curtains are difficult to handle at home. Its best to hire professional curtain cleaners to maintain the look and grace of the curtains for a longer period. Just give us a call and we can do all the curtain cleaning work for you making your curtains full of life once again. On site Curtain Cleaning is very time saving because you do not have to go through the hassles of removing the rings and taking them down from the rods. Moreover, you will not have to wait for the curtains to come back from the service and worry about the bare see-through windows. Our professionals will come at your place and do the entire cleaning process in front of you without having to bring the curtains down. We use good quality products that ensure there is no shrinkage or discoloration of the fabric and they are also bio-friendly keeping in mind the healthy indoor air quality. We use hi-tech machines and good quality cleaning agents that remove all the accumulated dust, bacteria and stains effectively making the curtains look fresh and clean once again. Call us today and benefit from our top class curtain cleaning services. Steam cleaning is gaining a lot of popularity due to its very effective results. Hot water extraction or steam cleaning is a process in which hot water is mixed with good quality detergent and put into a machine that then sprays the solution over the curtain. The hot water treats all bacteria and allergens and also loosens the dust and stains and the detergent gently removes them, making the curtains absolutely stain free and new-like. We are a top of the line curtain steam cleaning Melbourne provider, see our amazing before and after photos. Curtain Steam Cleaning is extremely effective method and there is no risk of color discoloration or fabric damage. It also steers clear from the issue of wrinkles while folding them or drying them on cloth line. Contact us for a rich experience in steam cleaning your curtains at affordable prices. Drapes are pleated and have a formal look, so getting them cleaned from professionals is always a good idea than trying to clean them at home. Excellent quality service is our guarantee and that is why we are the most sought after curtain cleaners in Melbourne. We use environment friendly products that are both gentle on your drapes as well on your indoor air. Get in touch with us and get your drapes treated to rich quality cleaning processes. 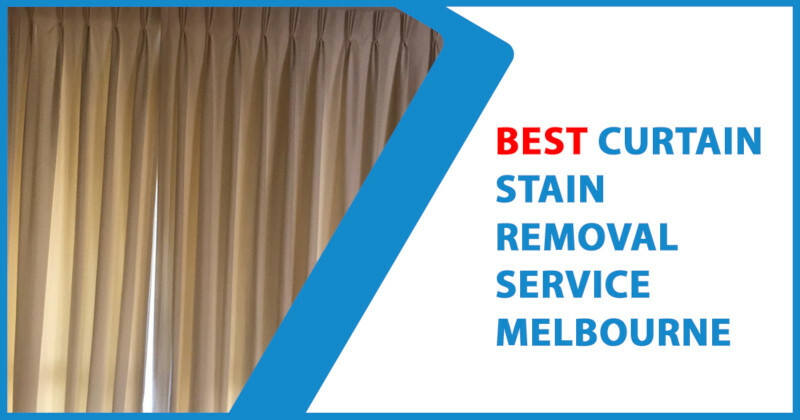 We are a leading company to provide curtain stain removal in Melbourne. If you have mold on your curtian we can treat that too with our high-tech machine. We know unexpected things happen like dropping food item on the curtain or accidentally leaving other kinds of items on the curtain which may leave stains on your curtain which make it look dull and it requires proper treatment. Also, mold may appear on your curtain if not cleaning for a very long time and moisture may get accumulated during the winter season in Melbourne. Keep your curtain healthy by getting a professional cleaning done. We are the best curtain and drape cleaning company in Melbourne and always place high value on customer satisfaction, which is the reason we deliver good results with each job that we undertake. Our technicians will inspect your curtains and drapes and figure out the amount of cleaning that is required. The cleaning cost depends upon the number of curtains you want to get cleaned, how much time has gone since you last cleaned them and the level of dirt and stains they bear. Do not fall into the trap of cheap curtain cleaners who may result in damaging the fabric or causing discoloration. By hiring us, you can be confident about the supreme quality curtain cleaning service that you will get. Get in touch with us and book an appointment right now. Curtains are made up of delicate threads and are of different fabric ranging from cotton, velvet, linen to sheer and lace curtains. Moreover, if they are double lined or heavy curtains, it becomes almost impossible to wash them at home. If proper quality products are not used depending upon the fabric type, it may result in discoloration or damage of fabric. We are professionals in this service area and our staff is well trained and knowledgeable of what products can be used on what kind of fabric. So, hiring professional curtain cleaners is always recommended. We extend our service in the entire Melbourne. If you are in the need of curtain cleaning western suburbs Melbourne then our team can provide you with fast and responsive service. Similarly, if you are searching for curtain cleaning eastern suburbs Melbourne we are there too. We also have a team of curtain cleaners in northern suburbs of Melbourne. So, just call us no matter where you are located in our coverage area and we can get to your place in no time. Quality service is guaranteed. Depending on our availability we also provide same day service, do not hesitate to talk to our team based on your requirement. Q: Will my curtain shrink after celaning? A: We have expert curtain cleaning technicians with 10+ years of experience and we clean curtains with extreme care to ensure it doesn't get shrink. Lear more about, will my curtain shrink after cleaning page. Q: How much does curtain cleaning cost in Melbourne? A: The cost of cleaning curtains depends on number factors, visit our cutain cleaning cost blog page. Q: Can you guarantee that the stain will be removed? A: Most of the stains gets removed with our curtain steam cleaning service but if you may have some hard staing then it needs to be assessed by our technicians then only we can comment on it. Q: What should I choose curtain dry cleaning or steam cleaning? A: We provide both servies, below diagram may help you understand what may be right for your curtains. For more info, talk to our customer servie staff. Q: Do you provide real estate curtain cleaning service in Melbourne? A: Yes we do. We get regular enquiries from real estate companies to do curtain, blinds, drapes cleaning. Our quality is of a very high standard and we have zero complaints from real estate companies.